SINCE the end of the Troubles, the number of organised crime gangs has risen from an estimated 60 groups to 170. The nature of the fight against crime is changing, and changing rapidly. The Detail’s Barry McCaffrey reports. THE human cost of the Troubles and the number of those tragically killed and injured has been well documented. But throughout the conflict republican and loyalist paramilitary groups also engaged in ‘ordinary crime’ as a means of funding their respective organisations. Their violence included the brutal ‘policing’ of their own communities by arbitrarily punishing those who they judged to be involved in criminal acts. But with the mainstream paramilitaries now effectively having gone out of the ‘war’ business, what is the criminal legacy that has been left behind for Northern Ireland society to deal with? 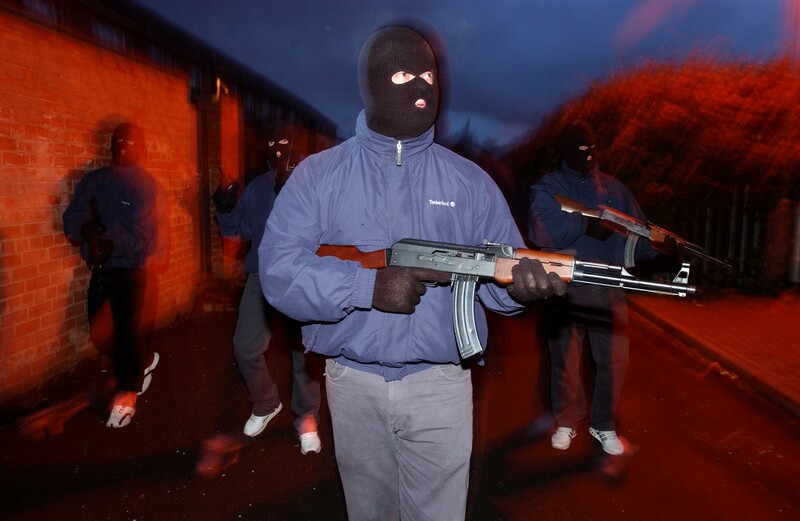 Throughout the Troubles individual organised crime gangs in Northern Ireland remained relatively small and disorganised because of the constant threat of attack by paramilitaries. But over the last decade the number of crime groups has grown dramatically as that threat has diminished. And they are diversifying into everything from fuel laundering to cyber crime. The Patten Commission’s recommendations of a reduction in the number of police officers in 2001 is also regarded as having inadvertently had a negative impact on the PSNI’s ability to effectively manage the war against organised crime. In an interview with The Detail the Head of the PSNI’s Organised Crime Branch Detective Chief Superintendent Roy McComb said: “The RUC went from 13,000 (officers in 2001) to just less than 7,000 with the PSNI." With organised crime gangs estimated to have risen from 60 to 170, he added: “Organised crime groups have gone up by a factor of more than 100%. The senior PSNI officer said: “Are there people from today’s terrorist groups who are involved in organised crime? Yes. “Are there people with a former pedigree in terrorism who have now moved into organised crime? Yes. “The activity of an organised criminal and a terrorist can parallel each other. “They conduct their business to a large extent like each other. However, how much did the disbandment of paramilitaries and their ‘policing’ of republican and loyalist communities keep organised crime under wraps throughout the Troubles? “Did the paramilitaries keep some sort of checks and balances in all of it? That, I think, is probably true in part. “We know the horror stories of people who were the subject of so-called punishment shootings. They were shooting their own people because of crime they were alleged to be committing. “Some of it was classed as organised crime. Drug dealers would be shot. However he said that today’s paramilitaries have a much more subtle and financially rewarding attitude towards the illegal drugs trade. “There are parts of Northern Ireland where criminals are carrying on their criminality and they are being ‘taxed’ by paramilitaries. “We are seeing that in large parts of Belfast predominantly and that crosses over into the territories marked orange and green. “We do see paramilitaries of very a strong green hue targeting those from their own communities involved in organised crime. “They’re not stopping the crime, they’re not ‘policing’ their areas, they’re just taking the money. “It’s a good way of keeping themselves from being caught for doing drugs. “Let somebody else take the risk, they simply take the profit out of it. “Of course as the drug dealer makes money the attitude, and I don’t support this, is ‘well sometimes you have to pay Caesar’." During the 1980s and 1990s paramilitary groups were heavily engaged in extorting millions of pounds from businesses through so-called protection rackets. And there have been reports of this continuing at a smaller scale. However the senior police officer said that crime gangs in 2014 are much more reluctant to become involved in extortion because of the significant risk of being caught. “Extortion, as a crime tactic has diminished. In part because the people who carried that out have got older, greyer and have moved on to whatever else they’re doing. In 1996 the RUC estimated that the Provisional IRA had an annual income of £10million, however Mr McComb says that the sum needed to fund the current dissident campaign is just a fraction of that. “The actual (finances) needed to run a terrorist campaign can be comparatively small, compared to some of the money that can be made simply profiteering from organised crime. The senior police officer accepts that some of the money which paramilitaries made through extortion and robbery during the Troubles may now never be recovered. “I think it’s a fair assessment that there are sums of money, that paramilitaries made over the years, that have now become laundered to the level that it may never be found. “It’s almost certain that some of the funds that had been obtained through criminal activity have been laundered to the point that it would take a Herculean task to try and unravel some of that money. “That’s not to say we’re not considering all of those things. However while the criminal threat from paramilitaries has declined the emergence of new international crime gangs in Northern Ireland now pose a significant danger. “Paramilitarism is a part of organised crime, but it’s not the totality of it. “What we are seeing now is the internationalisation of organised crime in Northern Ireland. If we went back in a time-machine to 2000 we would see indigenous crime groups. “People who were Northern Irish; who had a cross-over to some extent with the Republic and Great Britain, but very little beyond that. Over the past 15 years, since the signing of the Good Friday peace deal, Northern Ireland has seen greater levels of immigration. But while the end of large scale violence had the positive effect of attracting newcomers, it also helped open up the society to international crime. “Therefore, we have a form of a United Nations of criminality," he said. The senior policeman said that in the future paramilitaries may come into conflict with the increasingly powerful crime gangs as they encroach on what has traditionally been regarded as republican or loyalist controlled areas. “We haven’t had that yet. As we move into a greater internationalisation of organised crime, I personally think we will, at some point, start to see people being killed because of their involvement in particular crime groups. While the illegal drugs trade continues to pose the single biggest threat in Northern Ireland, environmental crimes, such as fuel laundering, pose a growing danger. “That’s not something which will happen in a decade’s time, it’s happening here now. The amount of money it costs to clean up the fuel dumps is costing millions of pounds. “The environmental impact is only now getting traction amongst the communities. “District councils are having to pick up the tab. We’re having to take money out of schools, health budgets and other parts of the Stormont Executive to pay for something that organised crime and criminals are doing. However it is the threat from cyber criminals which Mr McComb believes will pose the single biggest threat in the future. He said that the PSNI was now being contacted by more and more local companies targeted by cyber criminals. In one recent case a company lost stock valued at tens of thousands of pounds after a Belfast-based crime gang hacked onto its computer system and redirected a major shipment of goods belonging to the company. 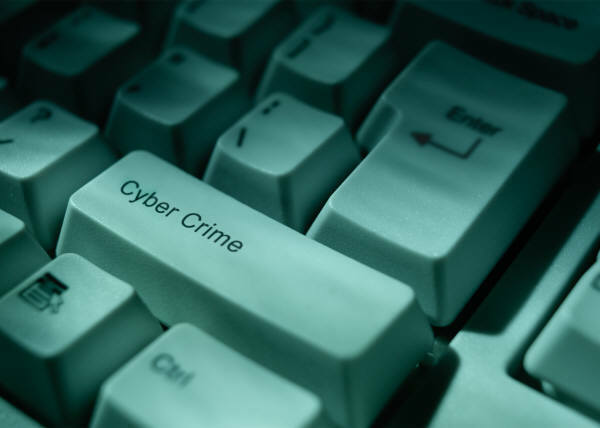 The senior PSNI officer revealed that he has also recently been the victim of cyber crime. “I took a phone call six or seven months ago as I was walking through a police training college in England. “The credit card people asked if I’d been in a cafe in Louisiana in the last two hours. But cyber crime can operate on both a small and a large scale. A group of Northern Ireland investors were defrauded in a major internet scam. “We had one particular group of individuals who were hooked into buying shares and over a period they had lost over £1million. “It only became known to us because they had gone to the bank to try to remortgage their house to buy the next set of shares and none of the shares existed.